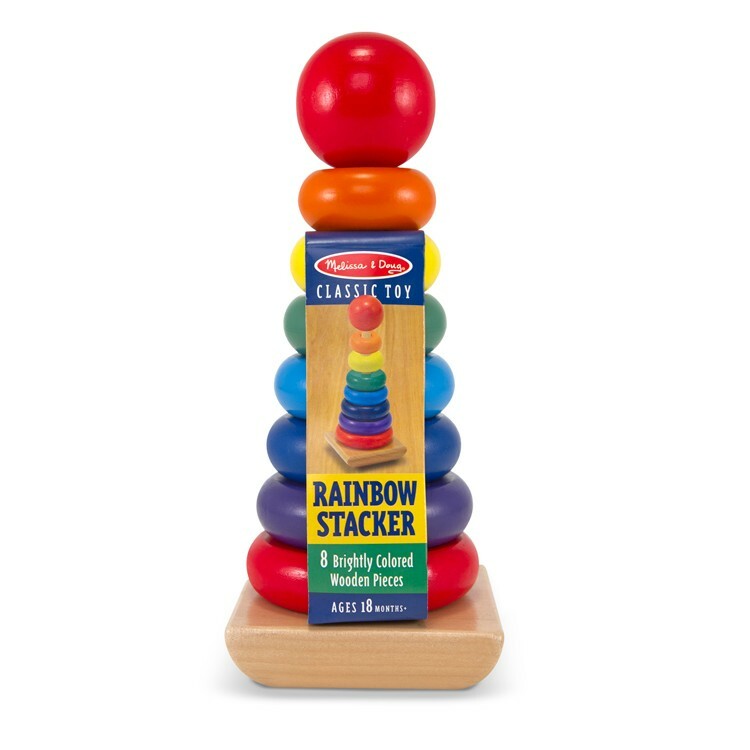 This classic Rainbow Stacker by Melissa & Doug is a 'must have' for any home with toddlers or daycare because of its exceptional quality and value. 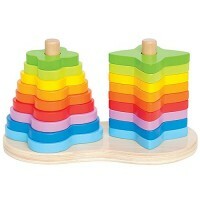 Melissa & Doug Rainbow Stacker Wooden Stacking Toy is true timeless classic for toddlers. 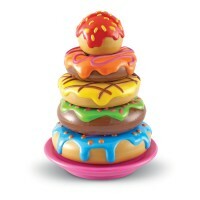 Incredible value and superior craftsmanship make this kids stacker a top seller and childhood favorite. 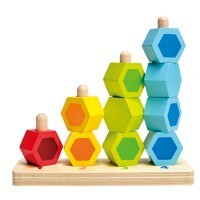 Brightly colored, smooth-sanded stacking pieces help build early shape, color and size differentiation skills. 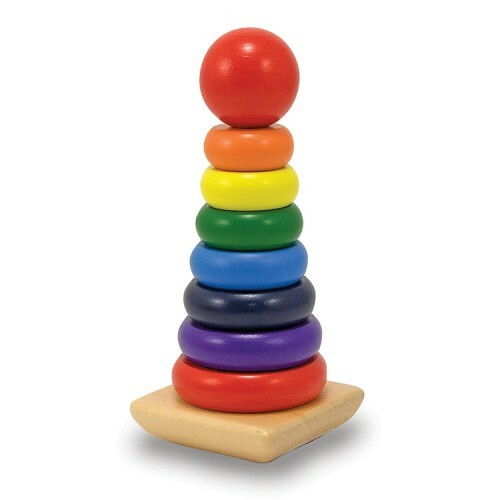 Rainbow Stacker Wooden Stacking Toy by Melissa & Doug comes with 8 smooth, sturdy wooden pieces to stack and create a colorful rainbow! This classic stacking toy from Educational Toys Planet is any home or daycare with toddlers 'must have' for its exceptional quality and value. 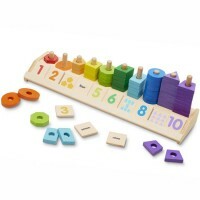 Dimensions of package 3.5" x 3.5" x 8.5"
Write your own review of Rainbow Stacker Wooden Stacking Toy. 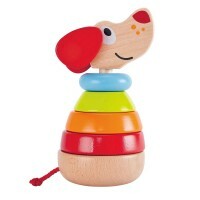 Rating: 5 Classic and simple by Jessica G These are the same types of toys that kids have been playing with for years and year. 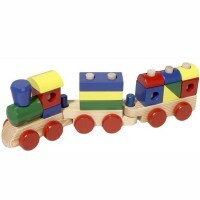 It is classic, simple and colorful and fosters lots of important skills like spatial reasoning, hand eye coordination and problem solving. 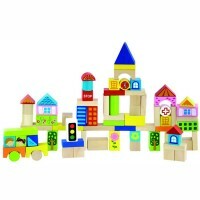 It can also be used to practice preschool concepts like "biggest and smallest" as well as color recognition. There are just some toys that will always be around because they are the perfect combination of fun and learning that never goes out of style or becomes outdated. 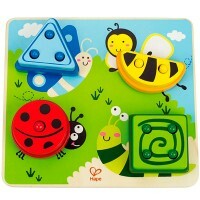 Rating: 5 by kathleen, AZ As a Grandmother toys like this have always been great fun for all. Rating: 1 by Quan, CA The paint comes off. Rating: 5 by Miranda, WA All time favorite stacker. Our baby loves it. Rating: 5 by Roman, WA Such a simple and well-made toy. My son really enjoys it. 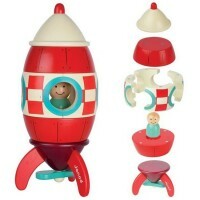 I was glad that such classy toys are still on the market.